In 1919 a national collection was organized to donate Mannerheim money as a present from the citizens. This collection yielded 7.5 million marks, and from these funds Mannerheim donated resources to support the pension societies of officers and widows of war, to fight the so-called Spanish disease, and to help war orphans. He wanted to alleviate the misery of the poorer citizens and the bitterness between the different social classes. After the world war, a group of people, including e.g. 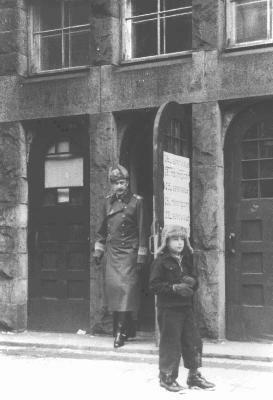 Mannerheims sister Sophie, who was the head nurse in the Surgical Hospital of Helsinki, Arvo Ylppö, assistant professor of pediatrics, and Erik Mandelin, began to consider ways of increasing the efficiency of child protection and welfare. Their objective was to diminish the rate of infant mortality and to help young people at the threshold of adulthood. 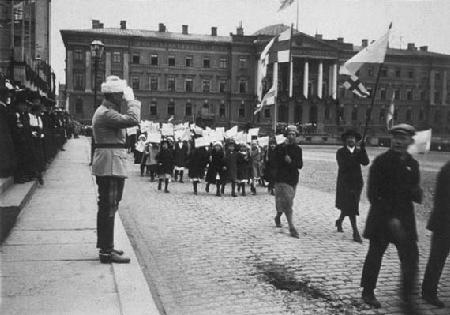 Gustaf Mannerheim contributed to these activities by placing his name and home at the disposal of the child protectors. 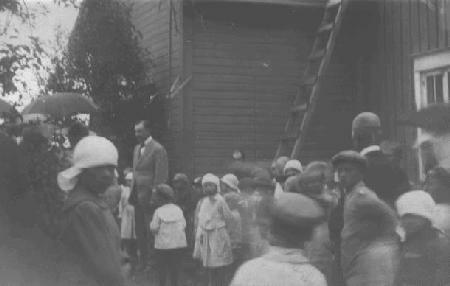 When General Mannerheims Association of Child Welfare was established on 4 October, 1920, in Mannerheims home, the general became its honorary chairman. He supported various campaigns, e.g. the extension of the activities of agricultural clubs, and after the Winter War, the organization of the activities of child sponsors. Mannerheims authority was needed to organize the sporadic attempts, to settle disagreements and to maintain foreign contacts. His name had an echo. 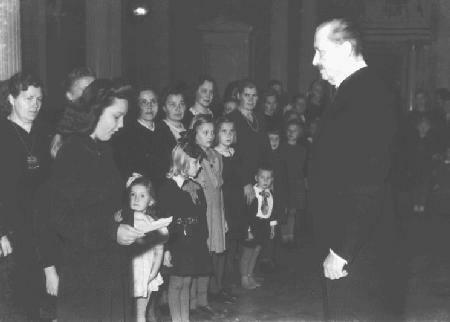 The association still functions under the name of Mannerheim Child Welfare Association.